One thing’s for sure, family businesses continue to throw up some electrifying feuds. And so it is with a Swiss chemicals and adhesives group called Sika. 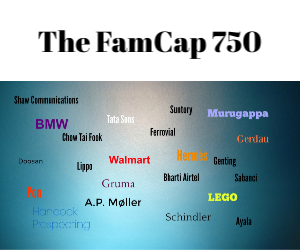 As reported by Family Capital earlier, the company is in the midst of a battle for control between the founding family and non-family senior management. And the war between the two looks to be getting increasingly acrimonious. Now the feud even involves one of the world’s biggest family offices, Cascade Investments, owned by Bill and Melinda Gates. The latest twist in the saga has been the failure of members of the Burkard family, which has historically controlled Sika, to remove board members, including chairman Paul Hälg, all of whom have blocked the sale of the family’s share in the business to the French conglomerate Saint-Gobain. The family want to sell their 16% capital stake to Saint-Gobain along with the 53% of votes that come with the shares. The sale would effectively mean the French company gaining control of Sika – and that’s being bitterly opposed by the board, as well as some other independent shareholders. As it stands, the company’s articles of association would appear to allow the Burkards to sell their stake to Saint-Gobain at a premium price of $2.9 billion without offering the same deal to other shareholders. But, crucially, another article gives the board the right to veto the sale of blocks of shares worth more than 5% of the total company shareholding. In essence, the Burkards’ proposed sale to Saint-Gobain is unrealistic unless the transaction has the board’s blessing. This is the reason why the family are trying to remove dissenting board members, which, if successful, will allow them to do the deal with Saint-Gobain. The various parties involved in the dispute are now fighting it out in the courts and more developments are likely to unfold at an extraordinary general meeting scheduled for later this month. But the non-family board members opposing the Burkards selling their share have some powerful supporters. In a letter written to the chairman earlier this year, Cascade Investment and the Bill and Melinda Gates Foundation Trust, together with two big fund management groups, which all own shares in Sika, have lent their support to the non-family board and have opposed the family’s move to sell their holdings. The family’s determination to sell their stake in Sika is even more extraordinary given that Franziska Burkard, who was part of the third generation to run the business, said in an interview on Swiss TV four years ago that the family isn’t ready to sell. Franziska died in 2013 – a year later the fourth generation started the process of trying to sell the business.